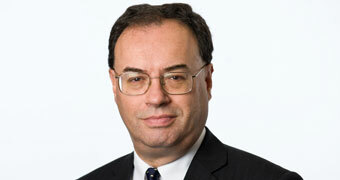 Speech by Andrew Bailey, Chief Executive of the FCA, at the PIMFA Wealth of Diversity Conference 2019. It is a great pleasure to be here today and to be able to participate on such an important subject as diversity. I am very pleased that the Personal Investment Management and Financial Advice Association (PIMFA) is focusing on the subject, so congratulations. I am going to take the liberty of broadening the theme out a bit, with the intention of doing so in order to put the importance of diversity into its proper context. So, let me start at the biggest level - or at least a big level. All of us, whether we are firms or a regulator like the FCA, operate within the framework of society – we rely on social licence if you like. What does that mean? None of us are independent of the society in which we live and work, and its norms. The FCA is a public interest organisation, and we serve society according to objectives given to us by Parliament, and likewise Parliament defines a perimeter inside which sit the activities we regulate. Firms too serve the public, shaped by laws and customs, and in the case of a regulated industry by the regulator’s rules and the principles that shape those rules. But, if we know one thing, it is that social norms don’t stand still. They change and evolve, sometimes – hopefully most times – for the better, but as history tells us, not always. But, if we know one thing, it is that social norms don’t stand still. They change and evolve, sometimes – hopefully most times – for the better, but as history tells us, not always. And, as institutions and individuals, we help to shape those changes. We also want the system in which we operate to be sustainable, in the sense that over time these social norms are fair and perceived to be so. That has not always been the case unfortunately – just look at some of the behaviours and norms that were tolerated in the run-up to the financial crisis, the consequences of which we have spent a decade dealing with, and some of that work isn’t finished yet. We also want the system in which we operate to be sustainable, in the sense that over time these social norms are fair and perceived to be so. We live in a world – certainly in the UK – where more responsibility for financial decision-making has been transferred to individuals from employers and to some degree the state too, particularly for long-term saving and pensions. We have to enable individuals to bear that responsibility. There is more concern for the different challenges and difficulties of those who are vulnerable in society. And, of course, this becomes more pointed as we transfer more decision-making to individuals. We must not ignore the needs of those who are less able to fulfil that responsibility. There are sharp changes in inter-generational financial positions taking place, and these too have an important bearing on individual responsibility and decision-making. There is more concern to influence the link between finance and environmental and other social objectives. It is an important way in which individuals can shape and influence long-term changes such as the environment and others that are not so long-term. We are seeing a very clear increase in the pace of innovation and technical change in society, and in the provision of financial services. The effects of this can be very good, but some effects can be less good, and we have to find ways to identify between those. Our personal information is now much more a commodity - again used to benefit us - but also there can be bad uses, or it can be lost and stolen. We don’t respect institutions – private or public – because they have been around for a long time, or because they are populated by a certain sort of person. We suspect that leads to narrow thinking, and is not representative. In other words, we put a much more tangible value on the practice of diversity – of people, backgrounds and experience, opinions and thinking, and rightly so. For any institution like all of ours to hope to meet the objectives that follow from these changes, we need a sustainable purpose, a mission if you like. That’s not just a marketing tool, it’s a reason for being. It shapes our culture. And, for the private sector, it shapes how profits are made, because to be clear profits need to be made. Earning a return on the investment has to be closely linked to and follow from the purpose, and particularly to do so sustainably over the long-term. So, where do we at the FCA fit into all of this? Just to remind you, we have 3 operational objectives given to us by Parliament: the protection of consumers; the integrity of markets; and ensuring competition exists in the interests of consumers. We are a regulator and a supervisor - in other words, we make rules shaped by the principles we pursue, and we supervise firms and individuals to ensure our objectives are achieved. We do not make rules to say you must have a good culture or else, that wouldn’t work. But our objectives and rules shape culture and we are very interested in how cultures influence firms. The culture and governance of firms is a priority. We do not make rules to say you must have a good culture or else, that wouldn’t work. But our objectives and rules shape culture and we are very interested in how cultures influence firms. We define culture quite simply as the typical behaviours that characterise a firm. We care about it because it is a key cause of major conduct failings. And we believe a healthy culture is good for business – both for consumers and for markets as a whole. We want firms and individuals to create and maintain healthy cultures where people do the right thing and take responsibility for consumer outcomes, thereby reducing the potential for harm. A key part of the response to the financial crisis – defined broadly to include both its prudential and conduct of business elements - is the introduction of greater individual responsibility, recognising that firms – while they have a collective identify – are made up of their individuals. Central to this response is the introduction of the Senior Managers and Certification Regime (SM&CR) across financial services. The SM&CR is intended to identify individual responsibility – not at the expense of collective responsibility but alongside it – and increase individual accountability, not least as a contributor to stronger culture and governance. The regime was adopted by the banking sector in 2016, and by insurers in December last year. We will be extending it to around 47,000 FCA regulated firms in December this year, so coming your way. At the heart of it are our Firm Conduct Rules which are intended to set minimum standards of individual behaviour in financial services. They are: you must act with integrity; you must act with due care, skill and diligence; you must be open and cooperative with your regulators; you must pay due regard to the interests of customers and treat them fairly; and you must observe proper standards of market conduct. All of these things help to shape culture within firms, not uniquely so, but importantly. But each firm’s culture is different, and that is how it should be. And the FCA’s culture is different too. There is no one size fits all solution and don’t believe anyone who tries to sell such a thing to you. We don’t prescribe what culture should be, that wouldn’t work. But we do pay a lot of attention to the outputs – the results of the culture at work – to see that harm is avoided – we look particularly at 4 drivers of behaviour – a firm’s purpose, leadership, approach to rewarding and managing people, and governance arrangements. And, to be clear, there is no rank order of these. This approach also helps to explain why we have encouraged debate – through the Discussion Paper we published last year – on whether financial services firms should be subject to a formal Duty of Care. The issue is not simple by any means. We will publish a summary of the responses received and set out what we will do next and how, for instance we might modify some of our existing Principles for Business to make them more reflective – even more so - of the concept of the duty of care. Now, having said there is no one size fits all culture – and I mean it – let me try to sidestep the apparent but oversimplistic rebuttal, that yes there are common influences and common practices that represent good standards. And here, diversity is important. Diversity is a core part of how we look at the culture in a firm. And – I want to get this in at the start – it is core to how I and my colleagues look at the FCA, because we are on the journey too. I read the occasional comment that the FCA should not pronounce on culture unless it is measured as perfect, or words to that effect. No one is perfect, we are all seeking to learn and improve. Diversity and inclusion help to mitigate the risk of groupthink, and I believe they provide an opportunity for competitive advantage to organisations by helping them to make better decisions and to think in the long-term. Fostering an inclusive and diverse culture can contribute to changing the behaviour of firms for the better. As shorthand, I always say that I don’t want to work in a place that is full of people like me – you don’t have to respond to that. Diversity and inclusion help to mitigate the risk of groupthink, and I believe they provide an opportunity for competitive advantage to organisations by helping them to make better decisions and to think in the long-term. And, if we needed a reminder, we have seen events in the last year or so – take some of the tech companies as the example – that demonstrate how groupthink and the risks that grow with it is not just a feature of old institutions. Interestingly, it takes root very quickly. Where a culture is open and staff are able to speak-up, decision making is enhanced and risks are flagged. Whistleblowing becomes prevalent when the organisation isn’t listening, because it knows what it thinks and no other view can be correct. It’s a small step to tolerating bad behaviour. So, as the conduct regulator we take a close interest in what firms are doing to promote diversity and inclusion and we ask about it and challenge on it in our regular engagements. I hope you can tell that diversity and inclusion are central to how we at the FCA act, both as an employer and a regulator, and I am going to say a bit more on the former. But for all of us they matter because they result in better judgments and better decision-making. As I said at the start, since we all serve the society in which we exist – we all need that social licence – we are more likely to succeed if we look more like that society. Governance is an important part of that. The tone is to an important degree set from the top. We live by example. With that in mind, let me say some more about the FCA and what we are doing. We have set targets for both gender and Black, Asian and Minority Ethnic (BAME) diversity at senior levels in the FCA, and we are taking action across the board. I have to say that a decade ago I was not wholly convinced that targets were the right approach – surely a good organisation should get there anyway. But, through experience, I have come to realise that targets do play an important role – they focus the mind and the actions. Currently, 39% of our senior leaders are women, and our target is to get to 45% by 2020 and 50% by 2025. We aim for 8% of our senior leaders to identify as BAME by 2020, rising to 13% by 2025. Currently the number is 5%. We have more to do as you can see, but our direction of travel is right. And, I have no doubt that it makes us a better organisation. We are active participants in the Women in Finance Initiative – last June, we were joint winners of the Women in Finance Employer of the Year Award which recognises organisations that have proactively cultivated an inclusive and diverse workforce at all levels. In 2017, our median gender pay gap was 20.9%, last year it was 21.2%. So yes, we went backwards by 0.3%. Our gap is below that for many firms we regulate, but it doesn’t make us complacent, and we want it to improve, a point made to me rightly by the Chair of the Treasury Select Committee. We are also doing other things such as mentoring programmes, reaching out to expand our pool of recruitment, and expanding our apprenticeship programme. To conclude, as I said at the start, we face some very big changes in the core social norms and organisation of society, and our job is to understand these changes and operate within them, whether we are in the private or public sector. How well we do that depends in large part on the institutions we are and the people within them. There is no doubt in my mind that we will be more successful if we pursue diversity and inclusion with a passion for succeeding.